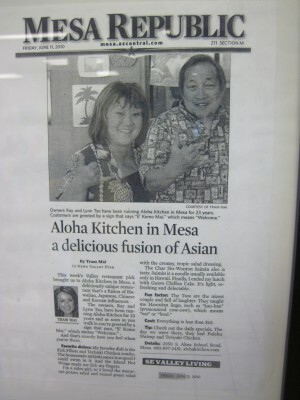 Category: Aloha Kitchen, Mesa, Az. 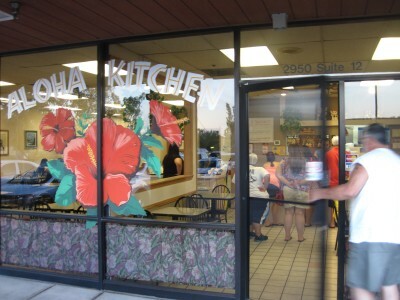 The Aloha Kitchen is a must visit for anyone craving a taste of Hawaii. 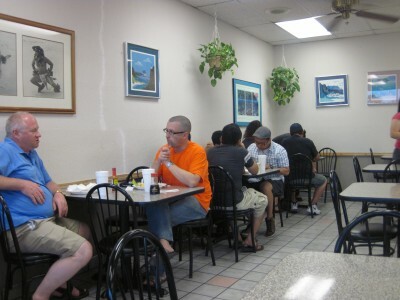 Aloha Kitchen is a hidden gem to everyone except locals from the islands. You get the island feel before entering. 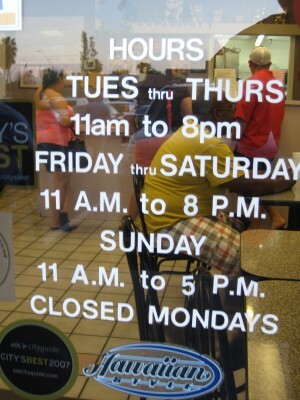 From what my Polynesian friends tell me, this place is packed all day Saturday’s. Area residents frequent the Kitchen for home cooked island food. 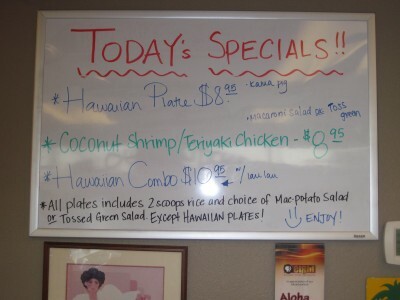 Enjoy the best Japanese, Hawaiian, Chinese and Korean at very affordable prices. The Chicken Teriyaki and Coconut Shrimp Special. 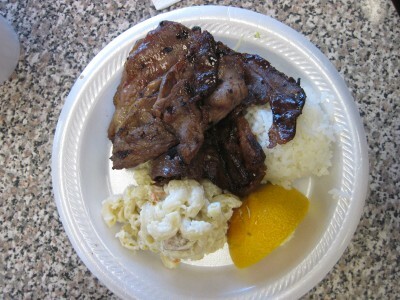 The flavors were authentic and reminded me of the food that I had had in Hawaii. Teriyaki Chicken with traditional sides. Articles, Hawaiian art and awards don the walls of the Kitchen. 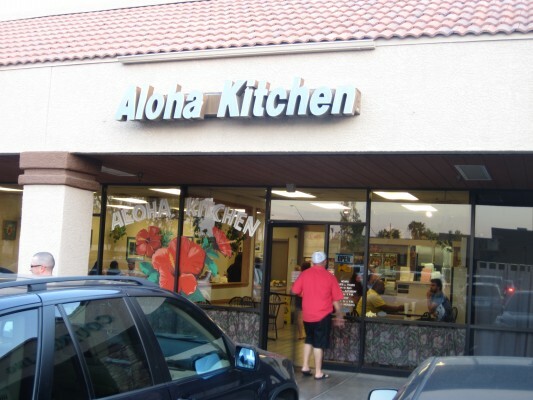 The Aloha Kitchen is dedicated to serving the best in island-style favorites. 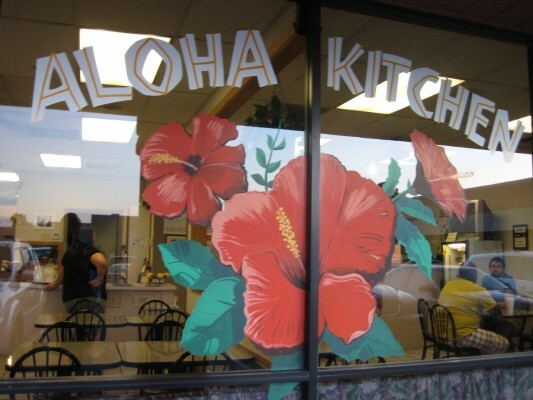 After you’ve visited Aloha Kitchen, you’ll want to take your friends and family to taste a bit of Hawaii.